Have you ever thought, there’s no way I can become successful in these circumstances? Have you ever wondered how you can build an empire from scratch? Have you ever wanted to know what habits the wealthy have that make them into high-performance machines? 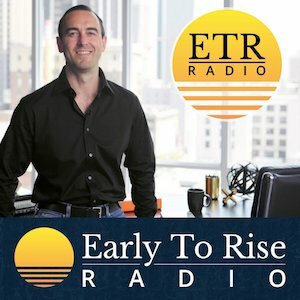 Today, in an EPIC show on ETR Radio, you’ll discover all of these habits, the secrets to success, and the path to building your own empire. But most importantly, you’ll hear an incredible journey to freedom from a man who risked everything to give his family opportunity. From this opportunity, and thanks to the immigrant edge, his son has gone on to build an Empire, and become what we call the American Dream. This is a powerful story that shows you no matter where you are starting from, no matter what your circumstances, that you can overcome all obstacles and climb to the top. This might be the most important episode of ETR radio ever. Enjoy! But first, we start with, as all good shows should, a flashback to a James Bond movie. In the opening scene of A View to Kill, the first James Bond movie I ever watched, Bond is sent behind the Iron Curtain to retrieve a microchip. He escapes Siberia in predictably dramatic and dangerous fashion. So too did the hero of today’s ETR wealth building story. In fact, his real-life journey is more dramatic and heroic than any Bond movie. It begins in Armenia in 1979. Krikor Keuilian, a tailor to communist party officials, began saving fabric from alterations, making suits, and selling them on the Black Market. But the communist party soon got word that Krikor was doing work on the side, so they raided the Keuilian’s home. While they searched for evidence, Krikor plied them with vodka and built rapport with the officials, getting them drunk, and sending them on their way before any proof was found. This risk allowed him to save $25,000 US dollars (equivalent to $90,000 today). He used this to bribe government officials so that his family could escape the Soviet Union. He, his wife and three children flew to Italy and sought refuge at the American Embassy. After an interrogation with US officials, they immigrated to America (legally), settling in California, a journey of over 7,200 miles. What’s the mission for you, your family, and your future? 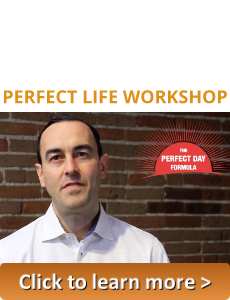 Do you desire greater financial freedom? Does your life need more meaning and impact? Do you want to make a bigger contribution to your community and the world? And do you want to do all of this and still have more quality time to spend with your loved ones? When you know exactly what you want, as Krikor did, the straight line to success becomes clear, and it becomes easier to avoid detours that take you off the path. You know what you must do, and what you must avoid. Best of all, when you take action towards your dreams, opportunities arise that help you get to where you want to be, sometimes even faster than you expected. 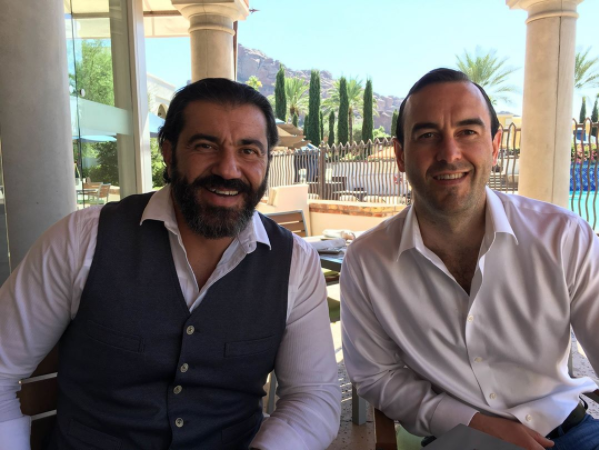 “The universe has a funny way of holding your feet to the fire and placing the right people and opportunities in front of you to help you achieve that which you desire,” said Bedros Keuilian, the son of our hero. “But you’ve got to have the discipline and do the work. Dreaming is not enough.” Bedros has become a real-life version of The American Dream, but it was not easy. After the Keuilians arrived in America with less than $100 in Krikor’s pocket, the family of five lived in dirty one-room apartments for years, often with just a single mattress. Each night, Bedros, the youngest child, would be hoisted into grocery store dumpsters to search for expired foods. While stores could no longer sell the product, the Keuilians could still eat it. They were willing to do whatever it would take to survive. Their early years in America were a harsh existence, one that was well below their standard of living in the Soviet Union where his father had secured a comfortable life. But Krikor knew his family had a better future in America. Today, many people only see the wealth, success, and growing fame of Bedros Keuilian, owner of America’s fastest growing fitness franchise, Fit Body Boot Camp. They call him “lucky.” They don’t know his full story and the sacrifices that he and his family made. They don’t know about his grade school struggles where, because he didn’t speak English, teachers called him a failure. They don’t know about Bedros’ first business failures that left him broke and sleeping in his pick-up truck in parking lots. They don’t know how hard he worked to eventually become a successful gym owner in his twenties. They don’t know how hard he studied sales and marketing so he could build his fitness business into multiple locations before selling to a larger corporation. They don’t how Bedros, recognizing his great fortune, committed to sharing his knowledge with other experts so that they too could enjoy the wealth and abundance available through service in the fitness industry. They don’t how his new business, the Fit Body Boot Camp franchise, almost failed because of a broken partnership, and how Bedros worked so hard that he suffered anxiety attacks that put him in the hospital. Surprisingly, Bedros feels the same way. He knows he’s a lucky guy. He’s grateful for the risk his father took. He’s thankful for the opportunity that he, a man that barely graduated high school and has no college degree, had to build multiple 7-figure businesses. Bedros is a proud American. That’s why he has dedicated his life to paying it forward and making a big impact on the lives of other fitness professionals. Bedros has taken the most difficult and disliked parts of running a business, sales and marketing, and created turnkey solutions that anyone can follow. He’s created simple business solutions so that anyone can operate one of his franchises successfully. 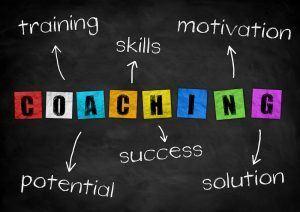 Helping an entrepreneur through mental blocks is not something that can be done in a single article, however, the marketing system that Bedros teaches his clients is something that anyone can use immediately. It starts with content marketing, where you deliver free advice through articles (on your blog and other websites) and videos (on YouTube, Facebook, and Instagram). These posts drive traffic to an opt-in form on your website so that you can build your email list. You’ll then communicate with your prospects and clients through your email list, adding more value and giving more advice. Bedros follows this system in his business. 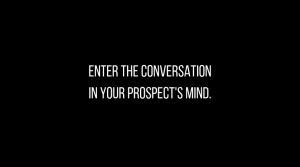 Sell in-depth and step-by-step training to them that delivers 10X to 100X the value. A quick study of his articles and videos would prove that you don’t have to give Bedros a penny in order to become successful. People who consume his content can find plenty of information to grow their business for free. However, because Bedros gives so much great information away for free, he develops raving fans that are happy to buy his products and services. He attributes this to the K-L-T (Know-Love-Trust) factor that is built through this content marketing system. His fans feel like they KNOW him through the personal stories he shares. They LOVE him because he delivers real, life-changing value through his content. And finally, they TRUST him, because Bedros shares success stories of real life, happy clients in his videos and articles. 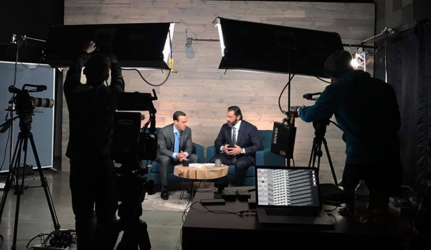 “I believe that only after adding value and winning my audience’s trust am I allowed to market and sell to them,” Bedros said, explaining why building the K-L-T relationship is so important. Build your skills as a writer, speaker, and storyteller. Study other successful experts in your marketplace, but also look outside your industry to great authors (fiction and non-fiction), persuasive orators (such as pastors and politicians that can persuade an audience), and motivational speakers (that can inspire others to desire and spark an internal fire). If you’re just starting out, Bedros recommends you start a blog, YouTube channel, Facebook business page, and Instagram profile as soon as possible. The social media platforms are all free, and a blog and email list require only a small investment. You can be up and running for under $200. 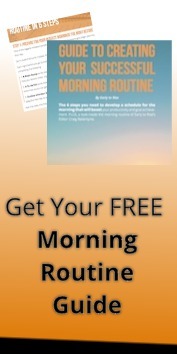 Don’t hesitate to give away your best content for free. This builds a connection with your audience and shows them that you are an authority. The thought of giving away content for free might scare you. After all, if you do this, what are you left with to sell? People will give you more money, more often for done-for-you over do-it-yourself. And they’ll give you, even more, money, more often if they view you as the expert and authority in your field. But won’t people just copy your ideas and start teaching them as their own? The solution is to create faster than your competition can copy. That’s the secret to staying ahead. People change. Times change. Technologies change. And needs change. So if you plan on being relevant now and a decade or two or three into the future then you’ve got to embrace, and in fact drive change. Another of his secrets to success is that Bedros doesn’t do it all himself. He describes the content creation, marketing, and sales, as part of his 5%, the work that he does best. He delegates the technology, follow-up, and administrative work to his team. When he first started his business, he had help from only two people, his wife, and brother-in-law. Today, as his fitness franchise has grown to over 500 locations and his consulting business has reached over 300 clients, Bedros has built a team of over thirty. This includes customer support, media buyers, sales teams, business coaches, software coders, web designers, a film and editing team, accounting, and legal. Relationship building comes relatively easy to Bedros because he’s working in an area where he has great passion and enthusiasm. Because of his background, struggling as both a newcomer to a foreign land, and as a former gym owner who originally didn’t know how to succeed in sales or marketing, Bedros is on a mission to help people avoid the struggles he once went through. His chief goal in business is to help passionate, hardworking people to become financially free. Bedros refers to high performers like you as fighter jets, whereas regular folks, that is, average people who struggle, are crop dusters. A fighter jet requires different care and handling than a crop duster. A fighter jet has personal, professional, and relationship discipline. You require jet fuel and extensive maintenance. That means having the personal discipline to stick to the highest quality nutrition and only small amounts of reward foods, as well as proper sleep, and regular exercise. A fighter jet is deadly accurate and operates with precision handling. This represents your professional discipline in punctuality (showing up on time and never being late), bringing your best self and high levels of energy to work, exceeding expectations, and always asking for and looking for extra opportunities to contribute to the cause. But a fighter jets self-care doesn’t end there. You also need a different pilot, the type that is much more intelligent than the one that gets behind the stick of a crop duster. The pilot of your fighter jet is your mind, and it needs to have the right mindset of focus, abundance, adding value, go giving, generosity, and abundance. Finally, in relationship discipline, a fighter jet is loyal to family, friends, and its source of higher power. You seek to improve these relationships every day, just as you seek constant and never ending improvement in your personal habits. How you do anything is how you do everything, Bedros loves to say. Your relationship with your health often reflects your professional success. If you have strong personal habits and take care of yourself, it’s more likely that you’ll have strong professional habits and bring a fighter jet mentality and high-performance to your work. But if you’re disorganized in one area of life, it often shows up in every area of life. 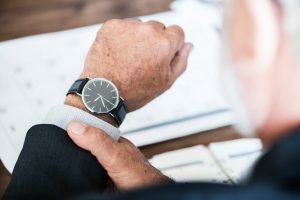 Making a commitment to improving yourself every day, the “Kaizen principle,” is the key to building wealth in your personal life, wealth in your health, and wealth in your bank account. These go hand in hand. Just as you wouldn’t hand over a fighter jet to a novice pilot with just forty hours of experience, neither would anyone hand you great responsibility in your career if you haven’t yet proven you are capable of having high-performance habits. Thanks for listening to Early To Rise Radio. Please head over to iTunes and rate today’s show, and share it with your friends.